All The Bad Times is an old-time/Americana string band based in Boise, Idaho. The band plays high-energy songs featuring clawhammer banjo, mandolin, fiddle, guitar, and doghouse bass, with some musical saw thrown in to keep the bad times rollin'. Music group doing bluegrass, country and gospel music. Features Daryl on guitar, Aaron with his fiddles, Marv with Mandolin and base, Gib with Banjo and guitar and the occasional accompaniment of guests. A Boise bluegrass band that also loves Irish and Old-time music. We've been playing locally for 3 years now at the Boise, Capitol City, and Eagle Public Markets during the summer; plus occasionally at Coffee Studio in Meridian. The band consists of Jason Young (on Banjo and guitar), Hannah Young (mandolin and fiddle) and Arne Elmore (Hannah's dad) on bass. Their music has taken them from obscure churches in the Ozark Mountains to Branson, Mo., where they played four shows a day in Silver Dollar City for three consecutive years. Now in Idaho they also performed locally for assisted living centers, seniors, churches and prisons and are “Still Goin’ Strong.” (the title of the group’s latest CD). The group consists of Betty Adams, Kent Craig, Bill Cates, Lorinda Yamamoto Norton and Harry Strang. CHICKEN DINNER ROAD is a progressive bluegrass/acoustic band that has developed a unique sound rooted in bluegrass, gospel, blues, old country and rock and roll. With distinctive instrumental arrangements and tight vocal harmonies, the band takes pride in writing unique, heartfelt originals that stem from broad backgrounds and life experiences. Dewey, Pickette, and Howe have been dazzling bluegrass and non-bluegrass audiences with their tightly crafted arrangements, airtight harmonies, and superb musicianship. The electrifying blend of traditional, contemporary, and newgrass (not to mention a little Paul Simon or Tom Waits) in a Dewey, Pickette, and Howe performance is sure to get folks movin’ their feet! 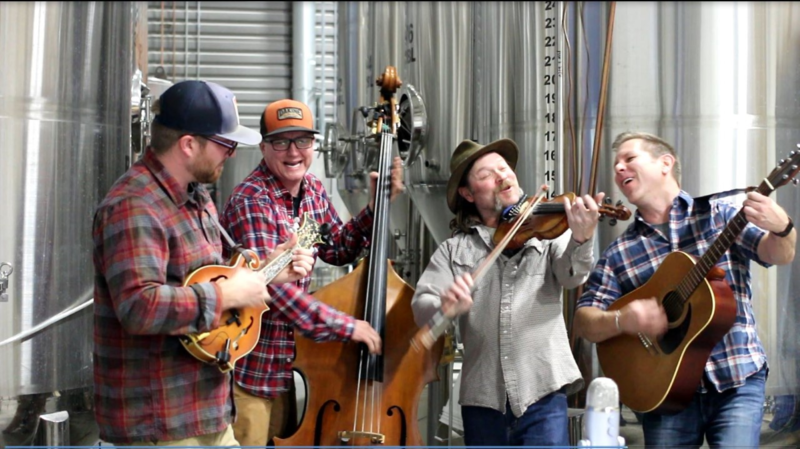 Originating from the Bluegrass jams of Boise and having enjoyed playing incredible heartfelt Bluegrass tunes over the past few years,The Down-low Drivers are a new and upcoming bluegrass band. Encompassing down to earth traditional Bluegrass, Old Timey, originals, and contemporary Bluegrass tunes pushing the boundaries of the genre, this band has got it all. With the strong lead vocals of members Scott Graham, Lori Gilbert, and Joe Gobel and the subtle harmonies of all four band members including Josh Doan, this is some incredible toe tapping fun music. From the slow soulful ballads to the ripping fast fiddle tunes, the outstanding guitar playing, banjo picking, mandolin and bass will keep you smiling. No need to keep it on the "Down Low". Tell your friends and come on out and enjoy. Featuring: Rand Thompson's Soulful vocals, Dave Skipper's high lonesome tenor, Matthew Skipper on lead guitar and mandolin, 'Lightening' Doug Jenkins on the fiddle and Mark Stolpe on the dog house bass. Americana string band based out of Boise, Idaho with Corey James-Guitar, Chad Lamer-Upright Bass, & Tyler Schmidt-Mandolin. Nine instruments, six members, countless state and national championships, make the family band of Fiddle Express. The Beck family starts them young - at age 3 - in contest fiddling and classical training of the violin. Fiddle Express enjoys sharing their music with retirements communities, centennial birthday parties, church functions, Bluegrass festivals and busking on the market streets. The Becks currently reside in Melba, Idaho. Their members include: Andrew on Mandolin/Ukulele/Fiddle; Rachel on Vocal/Fiddle; Eliza on Fiddle/Guitar; Isaac on Banjo/Fiddle/Drums. With Mom and Dad backing up the joy of it all with a Guitar and Double Bass. A five-member band based in Boise, Idaho. 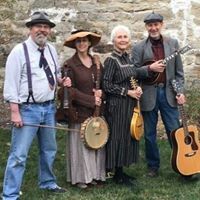 They play acoustic traditional bluegrass standards from artists including Bill Monroe, Flatt and Scruggs, Ralph Stanley and others along with some original tunes for variety and a little flavor. Hickory Bluff is a 5 piece band with fiddle, guitar, banjo, bass and mandolin. If you are lucky, you will see them at the ISBA fall festival, the Kamiah Spring Jam - this year in June, and at the Treasure Valley Bluegrass nights. 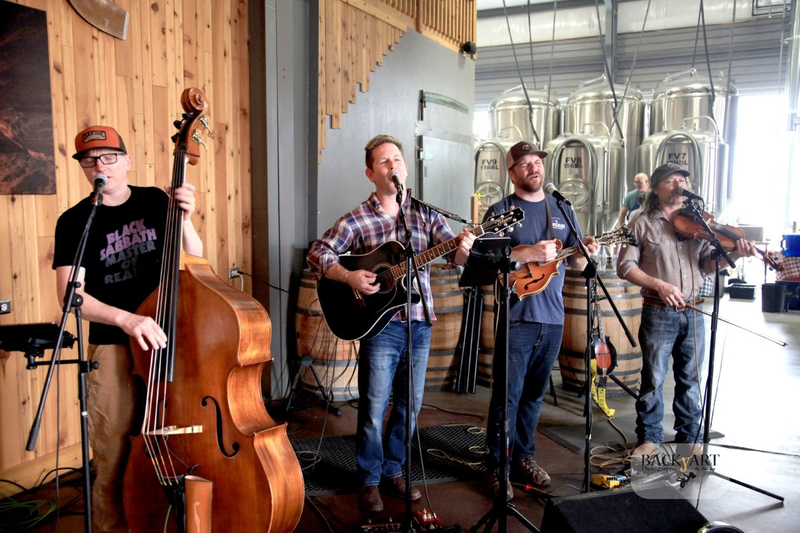 Born out of a desperate need for craft beer, deep powder, plastic jug moonshine, fast-moving rivers, and a deep-seated fear that artificial intelligence will ruin hard-driving bluegrass... High Pine Whiskey Yell came together as a band in 2018. This four-piece group of modern-day rounders focuses on telling true stories about robots taking your job, banksters robbing from the poor, the trials of gold panning in Idaho, and a few other traditional bluegrass subjects (such as murder, drinking, and dogs). Scotty Tyler's fiddling playing is aggressive enough to land an Idaho brown trout, yet soothing enough pacify a wookie in a festival hammock. Tyler Schmidt's wielding of the mandolin is nothing short of broadsword-esque and captures the true essence of the mandolin's spirit animal (jaguar-rattlesnake). Brian Carrington guitar flat-picking could woo even the most elusive of sasquatches out of the woods. And Chad Lamer's upright bass playing... well let's just say they sometimes give him water, beer, and let him ride inside the truck. 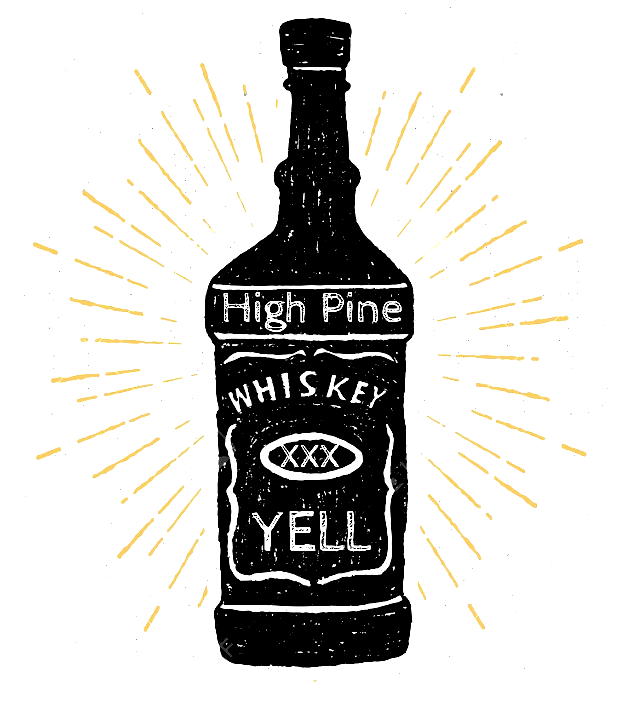 With all that in mind... if you like having a damn good time... then High Pine Whiskey Yell is your new band! A bluegrass band with some heavy hitters collected from far flung reaches of this mighty land. Coalesced from the hills of Vermont, the swamps of Florida, the spruce bogs of Alaska, and the pine barrens of New Jersey, the Lonesome Jetboat Ramblers serve up red hot bluegrass and ballads that will make your lip quiver with memories of unrequited love. Featuring Dave McMeekin on banjo and guitar, Willy Dallas on mandolin, Ryan Blizzard on stand-up bass, Steve Baker on guitar and banjo, and the amazing fiddling of Adam Straubinger. ​Original, traditional, and modern bluegrass. This Idaho bluegrass band consists of a couple guys born and raised in the Mountain West with pretty gals to make them look good. All having a great love for music, you'll hear anything from newgrass to solid traditional bluegrass, not to leave out country, folk, and celtic music styles. ​ Teton Shadow plays acoustic music covering most genres. Both Nyk and Diane have been playing instruments and singing for over twenty years. Their music foundation is in Folk, Western, Bluegrass, and Celtic music making them appealing to all walks of life. Celtic Shadow plays Irish and Scottish music in pure sense using the Whistle, Fiddle, and Mandolin as their main instruments. Their tight Vocals will have you dancing to the jigs and swaying to the ballads. ​The Country Club is playing original and traditional music from the front lines of the nostalgia wars. While their sound is clearly drawn from the well of classic country, honky tonk, old time, and bluegrass, it rings and twangs with modernity and occasional urbanity. From dark and dirty to clean and pristine, the sound of the Country Club is as at home on the range, in a barn, as it is downtown, in the club or a bar. We are available to play for events, weddings and parties! We play old time Appalachian dance music, played on front porches, in dance halls and in living rooms with the furniture scraped back against the walls. Idaho’s premier Irish music group, featuring energetic instrumentals and brilliant vocals in the traditional Irish style! For years the Giant Leprechauns have been playing high-energy tunes and soulful songs that hearken back to the very roots of the Emerald Isle. With their warm blend of traditional instruments and vocals in both English and Gaelic, This band is not to be missed by any fan of Irish music and culture! ​Fronted by singer, songwriter and multi-instrumentalist Travis Ward, Hillfolk Noir is a trio of neo-traditionalists playing traditional music on traditional instruments for non-traditional times. They call it Junkerdash, and it’s a sound brewed from folk, bluegrass, punk, string-band blues and other influences musical and otherwise. Recommended pairings: Drinking and dancing. The Hokum Hi-Flyers play old-time mountain music and other forms of unplugged American roots music on fiddle, banjo, guitar, mandolin, bass, and harmonica. Part of the living tradition of "old, weird America," they sing songs of love and murder, sin and redemption, whiskey and whimsy. High-spirited dance tunes will get you on your feet and hollerin' at the rafters. Fiddle, banjo, mando, dobro, guitar, upright bass. ​Four voices, eight hands, forty fingers. Let’s pick. The Storytellers are a Treasure Valley, Idaho acoustic band that specialize in story songs without regard for the genre from which they came - just great songs that tell a story. The group consists of four seasoned musicians known in the southwest Idaho acoustic music scene. ​The Wild Hares are the acoustic Trio of Spike Ericson, Matt Skipper, and David Skipper, and have recently added Mark Stolpe on upright bass.. They describe their music as Americana, with a mix of Bluegrass, Country, Folk , along with other songs you might not necessarily associate with acoustic music. Spike and Dave play guitar and mandolin, and do the vocals. Matt Skipper fills in the sound on guitar and mandolin, and is one of the up and coming bluegrass flat pickers and mandolin players in the valley. Spike has a new CD of original songs, with Dave and Matt providing much of his back up in the recording studio.